Make the transition from chair to floor easier with this organizational carpet. Each row has a color and each child has a dot. 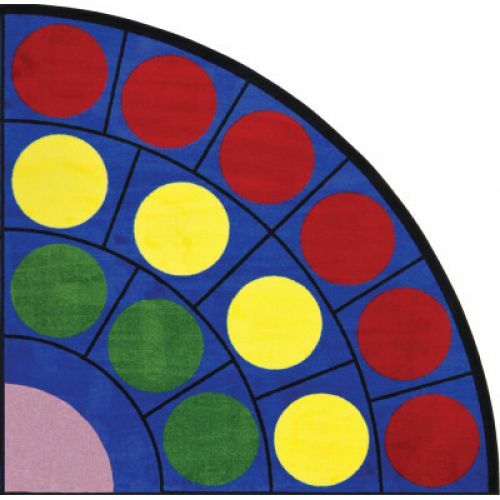 Dots border the rug on oval and round sizes.